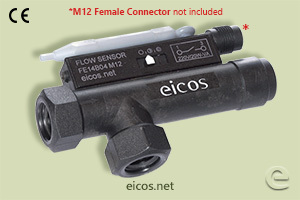 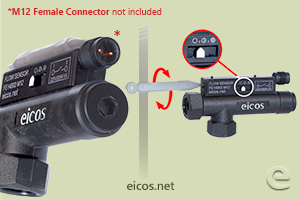 The Eicos flow switch FE14B04-M12 of 1/4"G port is ideal for low flows of oil. 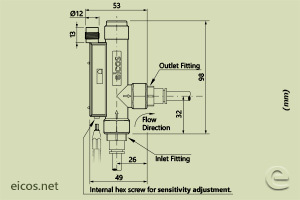 The sensor has a operation range that allow to adjust the ideal flow of liquid to be detected in application. 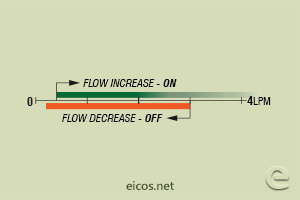 For water applications, see the model FE14B02-M12.